Got the 10,000 ADA Back!!! I got VERY VERY LUCKY!!!!! (crazy story) This may help you! So over a month I posted that I had just lost 10,000 ADA from restoring a paper wallet and forgetting to send all funds at once. What I did was sent 20 ADA out of 10,020 ADA (once the paper wallet restored which took about 2 days to restore on Daedalus) to test if the address I was sending to (Yoroi) worked. Now I had forgotten that paper wallets in general (including Bitcoin paper wallets) send the change to another "random" wallet which a least in bitcoin means people tend to lose access to the change. So realizing as soon as I sent 20 ADA it showed on Daedalus that the transaction was pending, however it did go through and was confirmed on the Yoroi wallet. I figured that the paper wallet was a one time use and I should have sent all 10,020 ADA at once otherwise known as (sweep or sweeping the wallet). 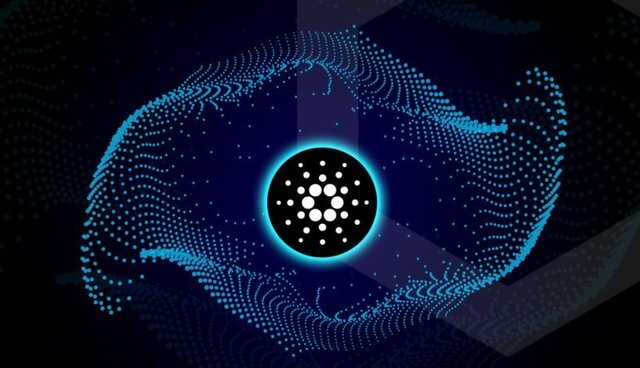 When checking on the Cardano blockchain I could see that the remaining 10,000 ADA were sent to one wallet. I felt devastated because I knew this about paper wallets and heard of "horror stories" of people losing all there bitcoin(s) by forgetting to sweep their paper wallets. What really sucked was knowing where my ADA were but not having access to them. I figured (after I had a few days to process it) "Oh well, I guess some random person will be lucky and get 10,000 ADA out of nowhere." Fast forward to March 23rd and the few days before...(when update 1.5 came out) Oh but wait... even before all that let me back up to maybe a week or a few days before even that. So I mentioned that I had restored in the Daedalus wallet and it took about 2 full days. Now at that time Yoroi (Chrome Extension/Desktop) only had "Transfer all funds from Daedalus Wallet" button which means I couldn't restore from my paper wallet which is why I restored my paper wallet in Daedalus in the first place. So a week or so after the whole debacle I opened up Yoroi which had updated and on the menu to restore from Daedalus was a new button to "Restore from Paper Wallet". I thought to myself, "Well that's nice I could have just waited a few more days and I could have saved myself from this whole thing. In the description it said that restoration time would take about a minute. So I could have also saved time. Now fast forward to 1.5 update a few days ago on I believe on March 20th. Now remember all this time before the update I can still see the paper wallet that was restored and it says 10,000 ADA balance and that 20 ADA transaction was Pending. However on the blockchain this wallet is empty with the change in this other random wallet. So after the 1.5 update things were still the same I could still see the balance of the paper wallet was 10,000 ADA (Which was incorrect). The only exception this time was that the 20 ADA transaction instead of showing "Pending" in said "Transaction Failed" Now I checked Yoroi (Mobile) where I sent the 20 ADA from Yoroi (Chrome Extension/Desktop) which came from the restored paper wallet in Daedalus. The 20 ADA were still in Yoroi (Mobile) so I knew to some extent Daedalus was wrong but maybe it wasn't. So I had to make a decision was I going to attempt to send from what I know is an empty paper wallet even though it shows 10,000 ADA. Now because that transaction was perpetually pending before the update the Daedalus wallet didn't or doesn't allow you to make another transaction until it receives a confirmation (which it never did). Now that it wasn't pending and said failed transaction maybe I should try to restore my paper wallet on Yoroi and see what happens. So I got may paper wallet opened it up to see my 27 word seed. Opened the Yoroi Chrome Extension and went to the "Transfer all funds from Daedalus paper wallet" button, diligently entered all 27 words and pressed the "Next" button. So then I waited there was a spinning wheel saying "Fetching Addresses" It was a very nerve racking minute. I was hopeful but scared knowing that the paper wallet was empty. Then the moment of truth. It had 2 addresses the original paper wallet address which was empty as I had expected, and a second address which had 10,000 ADA and was the address that the change got sent to. I couldn't believe it. I didn't fully celebrate yet due to shock. So at this point Yoroi will create a transaction that will send all funds / sweep for you and send it from the Paper Wallet to the Yoroi Chrome Extension Desktop Wallet. So that's what I did I selected the wallet and sent 9,999 ADA (not full 10,000 because of transaction fee) to my Yoroi wallet and it was confirmed. I was so relieved, I then after 15 mins or so sent the 9,999 ADA to my Yoroi Mobile Wallet. Now before all this I did manage to buy 11,850 ADA to replace the 10,000 ADA I thought I lost so now I have double my original goal of 10,000 ADA. Let's just say I got VERY VERY LUCKY! The whole reason I took them out of cold storage was in anticipation of staking. Now I know there will be cold staking but I didn't want to have to wait if regular staking was to come first. So yeah that is my little story, Please share this with others because if they made the same little mistake I did they still might be able to recover their lost ADA/Cardano funds.